Four months old and weighing only seven pounds Ethan is smaller than many newborns. He's half the size of an average healthy baby boy his age. He needs a new liver. JACKSONVILLE, Fla. -- Every baby is born beautiful, but not every baby is born healthy. Ethan Hoeffer was born with yellowish eyes. He had jaundice which is fairly common among newborns. His parents who soon learn there something much more serious going on with Ethan. "This is our forever baby. Everybody says you don't want your baby to grow up until your baby doesn't grow up," said Jessy Hoeffer, Ethan's mother. Four months old and weighing only seven pounds Ethan is smaller than many newborns. He's half the size of an average healthy baby boy his age. "It’s probably the hardest thing I've ever had to deal with. I watch him all day, every day. He doesn't grow," said Jessy Hoeffer. The hospital has become his home away from him. He's been at Wolfson Children's Hospital on and off since his birth. "For the longest time I felt like I was doing something wrong, and now I just wish I could help him and I just can't figure it out," said Jessy Hoeffer. "He is lucky to have very sweet parents and a very loving family," said Dr Katherine McGoogan, a pediatric gastroenterologist with Nemours. " They've stood with us, and they've been very diligent in giving him his tube feeds and his medications and bringing him in for all of his appointments and we had called his mom and requested that she bring him back into the hospital for another admission so we know that it's a lot for this family, but they want to see him grow." Jessy Hoeffer was 32 weeks pregnant when doctors noticed Ethan's growth had slowed. A few weeks after he born he started losing weight. Tests revealed he has some type of liver disease. "They've done 66 metabolic liver tests. They can't figure out what's wrong. They are all negative," said Jessy Hoeffer. "His doctor called me personally last week and told me that as much as it hurts me to not know what is wrong with him, think about how they feel. We bring him to a doctor to have answers and they are doing everything they can, and I know they are, it's just not something they found out yet." Despite getting special formula through a feeding tube Ethan is not gaining weight like he should. 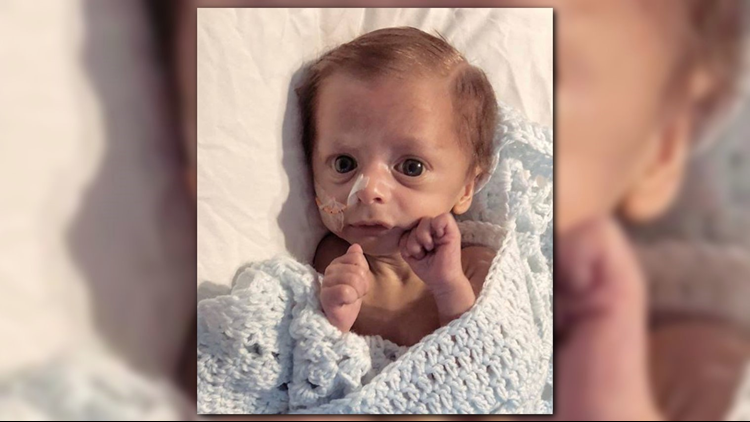 "He has severe failure to thrive as we call it, and this is the result of his body not being able to absorb the calories that he's taking in," said Dr. McGoogan. She says even though he's had dozens of blood tests, a biopsy and ultrasounds, he may never get an exact diagnosis. "It's more common than you might think in the pediatric realm. Probably up to 25 percent of patients with cholestatic liver disease in the neonatal period we may not determine a specific diagnosis," said Dr. McGoogan. Even without a specific diagnosis, Ethan has now been added to the waiting list for a liver transplant. "Everything has become a new normal. You get used to feeding tubes and we have IV polls in our house," said Jessy Hoeffer. "You can't really do anything to help him. We just watch him get his blood work done all the time. He's always in pain. It's been rough. just thankful for everybody who keeps him in their prayers," said Brandon Hoeffer, Ethan's father. Prayers the Hoeffers are asking for, not just for Ethan. Jessy had to quit her job to take care of him full time. 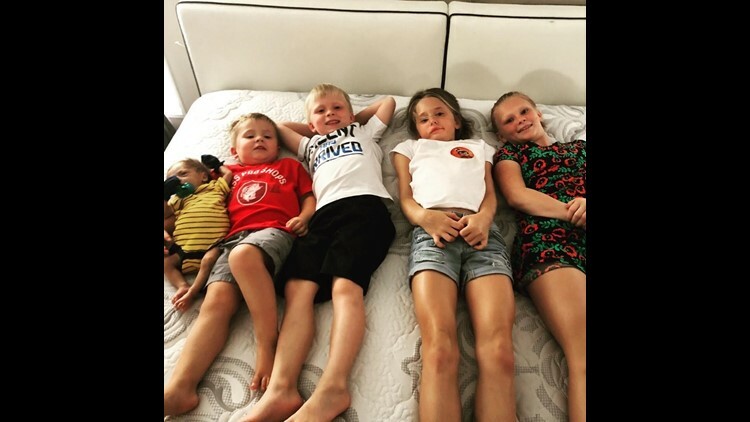 The parents of five are now living off one income, and it's not only their baby's health they are concerned about right now. 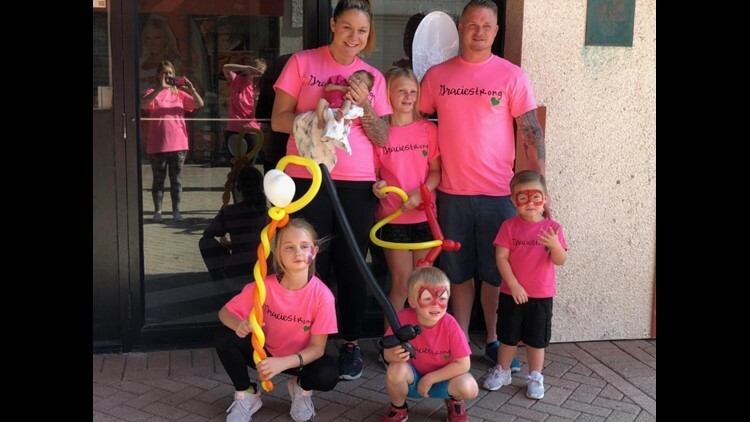 "The week I found I was pregnant with him we found our now 9-year-old has a rare genetic form of muscular dystrophy called Fascioscapulohumeral muscular dystrophy (FSHD)," said Jessy Hoeffer. Nine-year-old Gracie's debilitating disease has no cure. Doctors have told her parents she could end up in a wheelchair, and the disease has already taken away her ability to smile. 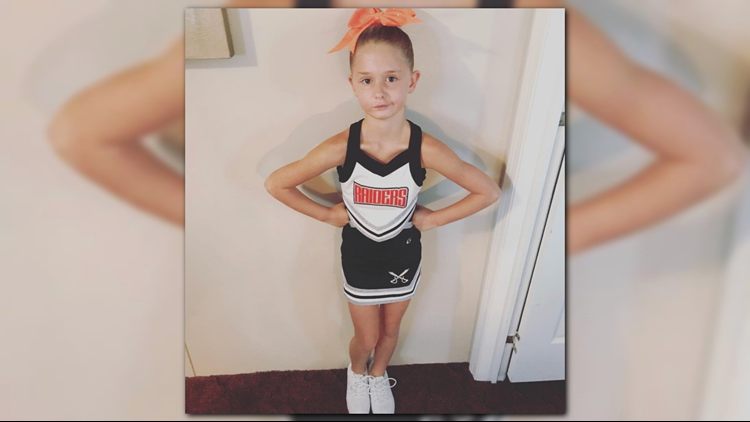 "Gracie cannot smile because of the lack of muscles in her face, so for school picture days I have to send notes telling them to not make her smile because she physically cannot, and she used to come home crying about it," said Jessy Hoeffer. "She loves to dance but she has drop foot so she falls a lot, one time at school and started throwing up so I had to take her to the hospital for a concussion." The young couple is dealing with more challenges than many will ever face. "People still will ask you the same thing. Do you think you would have done it if you knew all this was going to happen? You're going to have two permanently ill children. At 24-years-old we have two very sick kids. Would I have done it? Yes. But it's been a heck of year. That's for sure," said Jessy Hoeffer. The Hoeffers have come to accept a future more uncertain than most. "I pray that he will get better. We had so many plans. We would take the kids camping. We would do stuff like that all the time. Now their whole lives are on hold because he is sick," said Jessy Hoeffer. "I just pray he will grow and she will stay strong....I didn't choose for my daughter to be sick, and I don't choose for him to be sick, but it's the cards we were dealt and I just pray one day it will get better and if it doesn't we will make it through whatever gets handed to us." Ethan's doctor says he is not a candidate for a live liver donation at the transplant center where he has been evaluated in Orlando. His parents are now waiting for the phone to ring to tell them an organ match has been found. The Hoeffers have Go Fund Me page If you would like to help them, and you can follow Ethan's journey on the Ethan Hoeffer Facebook page. Watch Ethan's story tonight at 6 p.m. on First Coast News.